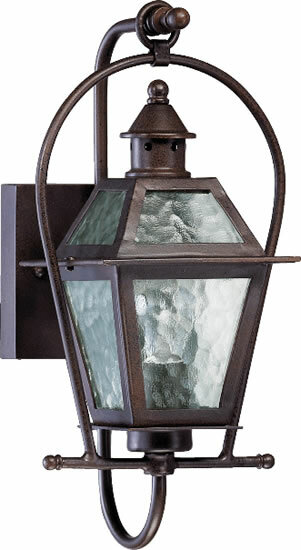 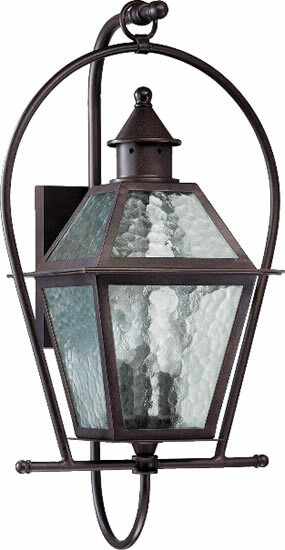 Height 21" x Width 11"
This traditional collection of exterior lanterns draws inspiration from the gas lanterns on historic Bourbon Street, in the heart of New Orleans' oldest neighborhood, the French Quarter. 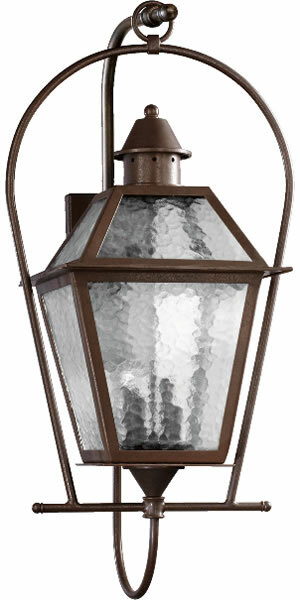 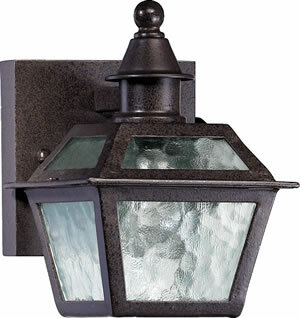 Like the original gas lamps, Quorum Bourbon Street Lanterns have a yoke mount. 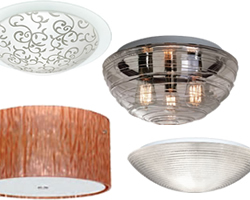 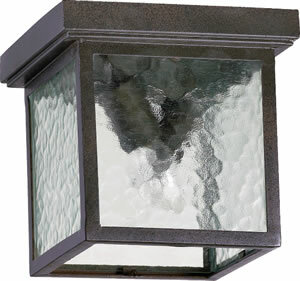 The rich Oiled Bronze finish and clear hammered glass add to the historic feel. 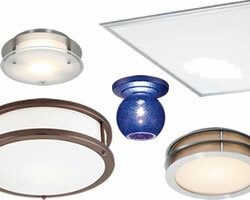 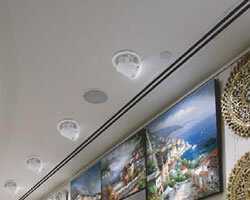 They are available in a various sizes to fit every need. 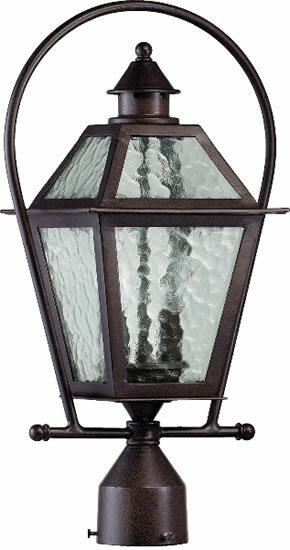 Height 35" x Width 17"
Height 8" x Width 6"
Height 15.75" x Width 8"
Height 19.5" x Width 11"
Height 8" x Width 8"